Juzo Dynamic Xtra Below the Knee Stump Shrinker 30-40 mmHg, manufactured by Juzo, are compression socks designed for below the knee amputees. These Stump Shrinker Socks apply a moderate 30-40 mmHg compression level. This moderate to firm compression level is ideal for treating swelling in the stump. Amputee Stump Shrinkers are designed to maintain the shape of the stump through compression. Unlike other shrinkers, these Juzo Varin Stump Shrinkers feature extra protection from infection and odor. 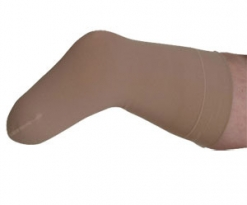 Stump Shrinker Specialty Garments are designed to be non-irritating and soft against he skin.